I realized recently that I’m not good at waiting. (Actually, I’ve known that for some time, but God reminded me of it this week.) 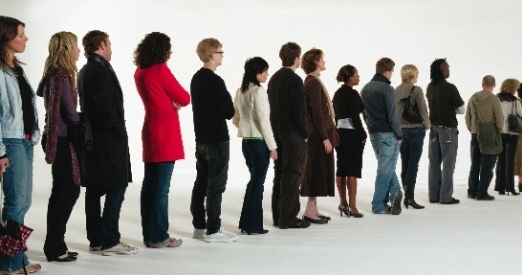 I don’t like waiting in long lines at the grocery store (or any store, for that matter). I’ll bypass a fast food place if the drive-through line is too long. I don’t like waiting for the food to finish cooking in the microwave, or for the traffic light to turn green. I don’t wait well. This week I’ve been waiting for a biopsy result from the doctor’s office. I’m waiting for a response about a potential writing project. I’m waiting for an answer from some women I’ve asked to pray about leadership positions. I’m waiting for Hobson to grow out of his mischievous kitten season of life. Waiting. That seems to be a major part of my life right now. Actually, it’s part of life — period. I don’t wait well. God, why do you want me to wait? As I asked Him that question this week, He reminded me of how He uses waiting in my life to deepen my relationship with Him. He uses waiting in my life for good. Waiting drives me to prayer. While I’m waiting, I’m praying constantly about the situation, talking to God throughout the day about it. Waiting puts my focus on Him. While I’m waiting, I’m looking to God, seeking His will, even as I share with Him what my desire is. Waiting prepares my heart for God’s answer. It gives me time to wrestle with the issue and the outcome, and to come to a place of sweet trust and rest, regardless of God’s answer. Waiting draws me into a desperate dependence on Him. It disciplines me to not get ahead of God and take things into my own hands. I’ve waited for things in my life, and God has often chosen to not give me what I’ve wanted or asked for. But the time of waiting wasn’t wasted. Waiting is hard, but good for us. Yesterday, I began to write down Scriptures about waiting on God. I pray these verses will encourage you in the midst of waiting as they have me. Psalm 27:14 – Wait for the Lord. Be strong. Let your heart take courage. Yes, wait for the Lord. Psalm 37:7 – Rest (be still) in the Lord and wait patiently (wait longingly) for Him. Psalm 40:1 – I waited patiently (intently) for the Lord. Psalm 62:1 – My soul waits in silence for God only. Psalm 62:5 – My soul, wait in silence for God only. For my hope is from Him. Psalm 130:5-6 – I wait for the Lord, my soul does wait, and in His Word do I hope. My soul waits for the Lord. Perhaps you’re waiting for an answer from God about something today. How is God using this period of waiting in your life? What verses have strengthened you during the waiting? I’d love to hear your thoughts. Crickett- This a great reminder that waiting is for our good in so many ways! Here’s a verse that helps me focus on Him during those periods of waiting. The ‘rejoicing’ comes from knowing His name and character, that He is always helping and that waiting can be shielding us from what is not His best. Carol, that’s a great passage! I’m going to add this one to my list. Thanks for sharing! I am one of the most impatient persons on the planet and my family will shout their agreement. My impatience does bother me and this blog was something I needed as well as Carol’s reply. Thank you, thank you. You, by the grace of God, are feeding the women of 1st Evan. The tagline in my email signature line: Blessed are the impatient for they shall have to wait! God uses waiting in a powerful way in our lives. He’s taught me much about Him while I was waiting. Sherri, you’re so right! God uses those times of waiting to teach us things we couldn’t learn otherwise. I love your tagline in your email signature! Thanks for sharing. I appreciate your post on waiting, and your hope your results come back with no issues. The verse God gave me last year was this: “The LORD is good to those who wait for Him, to the soul who seeks Him” (Lamentations 3:25 NKJV). Seeking God is a part of waiting, as you said. That’s got to be the best part. Katy, thanks for sharing that verse in Lamentations. What a great reminder! The Lord is good to those who wait for Him. I’m going to add that one to my list of verses on waiting. Thanks for sharing! Mandy, I love that verse!